Customers and students love ALC! Find out why and call now! My daughter is extremely smart, but she struggled in higher level math and was in jeopardy of losing her self confidence. ALC changed my daughter’s life. Her math grade improved 100%. More importantly she understands the material and connects with the subject matter again. I am a tremendous fan of ALC and the tutors are extremely special. They love what they do and that is rare!" My daughter benefited greatly from the extra preparation for SAT and ACT tests that she received from ALC. The staff was very attentive to her particular needs, with regard to the areas in which she needed a little extra help. 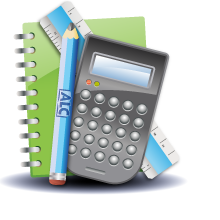 The ALC staff was very responsive, and provided thorough follow-up after each tutoring session. When it appeared that my daughter might respond better to a different tutor, ALC didn’t hesitate to make the suggestion and offer alternatives when she reached a testing plateau with regard to scores. Ultimately, she achieved the goal she’d set for test results, which I believe is a direct result of the instruction from ALC tutors. While there are many resources available for test prep, the attention to detail and personal consideration given makes this a worthwhile endeavor. ALC has been the perfect complement to my boys’ studies. Our tutor knows exactly how to motivate Will to push himself in Advanced Honors Geometry, while at the same time reinforcing and enhancing his abilities and confidence. Will looks forward to sitting down for an hour and a half session - that is an achievement in and of itself. Our other ALC tutor works wonderfully with both Will and Oliver on a variety of subjects and always makes the material accessible to each boy, despite their different learning styles. ALC has been able to meet ALL of my families’ needs this year. Both boys earned High Honors and had fun in 8th and 6th grade. Kudos and many thanks for the excellent work, ALC! I am sure you already know this, but ALC is the BEST! Alex raised his ACT score from a 29 to a 33 and we will see how the SAT goes. Alex is not one to hand out compliments freely, but he raves about his tutor and how much he has helped him. We will definitely recommend ALC to anyone who asks. Attending St Petersburg Catholic High School, ALC’s location could not have been better! Our son first took a diagnostic test and we scheduled a meeting to go over the results to make a plan. ALC was able to work around his after school activities, and get him the tutoring time that best fit him. He was immediately comfortable with the tutoring and rapidly gained confidence. He took the ACT test twice. The preparation was hard work but the results paid off. ALC kept him focused and organized, his tutor was great. The experience was very good, I highly recommend ALC. You will be seeing his younger brother in a few years! We really have had an awesome experience with ALC. The tutor was a great match for Caroline. I'm so glad your company exists! I thought finding a calculus tutor would be a daunting task and I was so relieved after one phone call to Joe to find out you had one and we could start right away! Caroline worked so well with her tutor that we also used her for SAT/ACT test prep. We were very pleased with all of the results! We also appreciate that our ALC was flexible and able to work around Caroline's schedule when necessary or work in an extra session if needed. Thanks to ALC! ALC has been a huge positive experience for my daughter. From beginning to end, ALC has been very professional, supportive and flexible during the entire standardized testing process. My daughter has substantially improved her score since the first assessment test. We are very pleased with ALC and I do recommend parents to pursue this route.